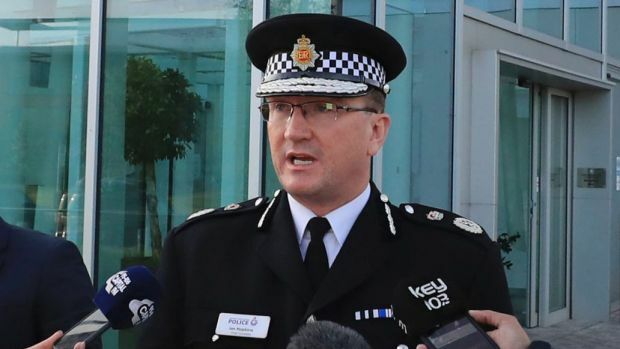 The Chief Constable of GMP says he needs a further 500 officers to effectively police Greater Manchester. The Force has announced a plan to recruit additional 320 police officers following a decision to increase the council tax precept bringing the total officers to 6,570. But Chief Constable Ian Hopkins says this falls short of the target of 7,000 need to police Greater Manchester. : “We have been working hard to transform the way we deliver policing, and this will continue. The additional officers will be able to help us continue our commitment to neighbourhood policing and create a proactive team that can be sent to crime hotspots. It moves us some way towards the 7,000 officers I believe we need to police Greater Manchester. The Force has faced significant reductions in the budget in recent years and will have a further reduction of £215m by March 2019 while at the same time dealing with increasingly complex crimes. In 2010 GMP had 8,219 officers. GMP recruits around 500 officers each year to replace those who leave and this will mean an additional 220 officers are recruited which is regarded as a significant undertaking for the Force. Work will get underway to bring in the additional officers throughout 2019-2020.